Welcome to the “Action Centre” – the place where a moment of your time can make a big difference. The Sask Party government introduced an austerity 2017-18 budget which makes devastating cuts to public services, life harder and more expensive for Saskatchewan families, and puts people out of work. Yet, the government is giving a gift of tax breaks to already profitable corporations and the wealthy. It’s the wrong priorities, and it’s bad for the economy. Together, let’s Stand Against the Cuts. Click here to get the latest in events, actions, and resources. Click here to send a letter to the government. Saskatchewan has gone through two health care mergers. Both instances significantly disrupted the whole health system and distracted from the main purpose of the health care system: which is to provide quality care to patients and residents. We need to make sure that the process in place considers quality of care, and protects our public health care system. If you are concerned about the impact health reorganization, please write a letter today. Click here to send a letter today. 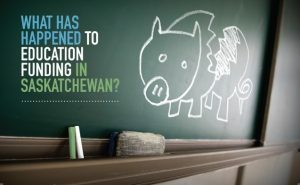 The Saskatchewan government is underfunding education. Over half of our school divisions are experiencing budget shortfalls, and it is our children who are feeling the impact. A decrease in support staff will diminish the quality of education for all students. Students who require additional support will struggle in school if they don’t have access to the support. 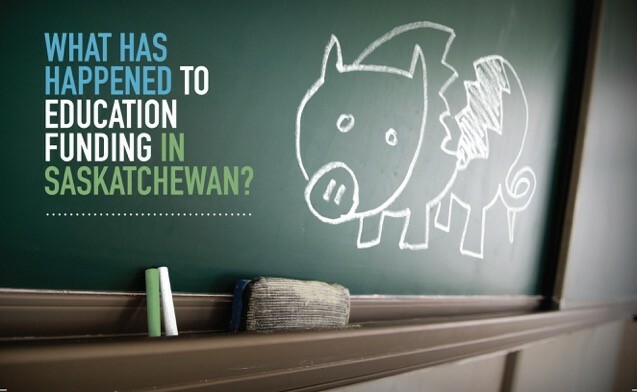 Our government must invest adequate funding in education to allow school divisions access to the required resources, ensuring all Saskatchewan children’s rights to a quality, safe and healthy education. Every student deserves access to the classroom support he or she needs. If you are concerned about the impact the lack of education funding will have on your children and your community, make your voice heard. Click here to send a message to the Premier.